McCaw (c) was at the heart of New Zealand's victory. 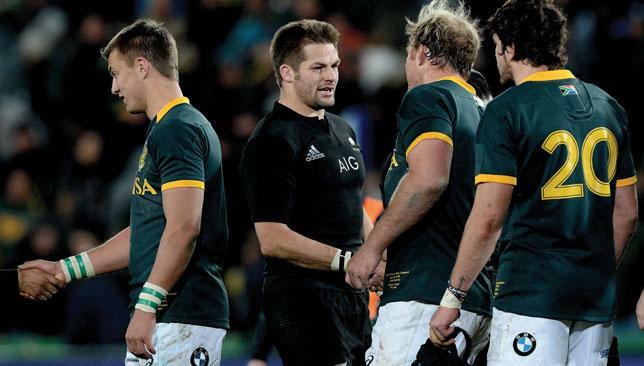 New Zealand skipper Richie McCaw joked that he pulled rank to score the try that brought a 27-20 Rugby Championship triumph over South Africa in Johannesburg. The second most capped rugby Test player moved undetected into the scrum-half position on Saturday as the All Blacks prepared to throw to a lineout a few metres from the Springboks line. And hours of practie ahead of the southern hemisphere championship showdown were rewarded as McCaw darted forward to grab the Codie Taylor throw, found space and dived over. “I had to pull rank,” McCaw said yesterday. 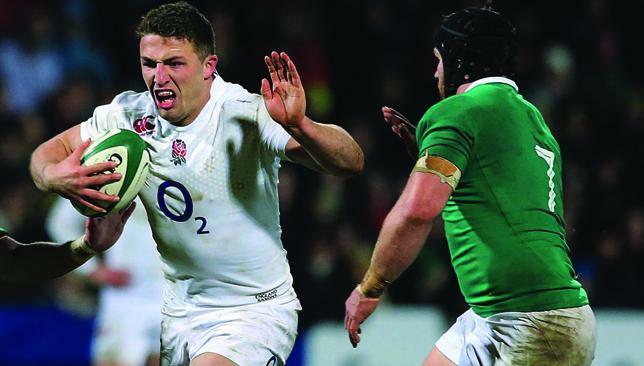 “When we practised the move during the week there was a debate as to whether I or a half-back would execute it. I am pretty relieved that it worked out,” added the flanker who will equal the 141-cap world record of retired Ireland star Brian O’Driscoll by playing against the Wallabies in Sydney. Coach Steve Hansen lauded the manoeuvre that earned world champions New Zealand a sixth victory in the past seven clashes with greatest rivals South Africa. The try was converted by impressive debutant fly-half Lima Sopoaga, who completed the scoring with a last-minute penalty. 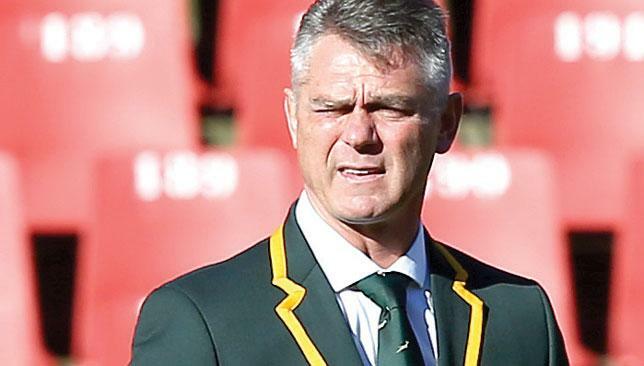 It was the second consecutive weekend in which the Springboks, ranked second in the world behind the All Blacks, surrendered a lead at the death. They led Australia by 13 points only to be beaten by a try after the full-time siren sounded. Hansen said heroic mid-second-half defending by his team when reduced to 14 men after the yellow-carding of lock Sam Whitelock for professional fouls was a key factor.